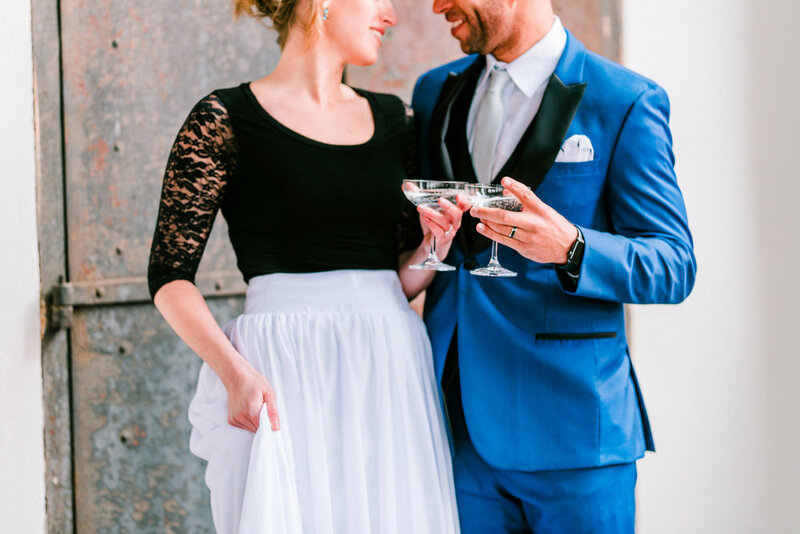 Welcome to Sara Elizabeth Weddings, we are a full service wedding planning and design studio based in Quincy, IL, but we would be thrilled to travel with you to make your dreams come true. We vow to create an exceptional wedding experience through every detail. Having Sara as a wedding planner was truly one of the best decisions we have ever made! The planning process was so enjoyable because Sara is so organized and communicates so well. We honestly never worried about any hiccups leading up to the wedding or the day of, because we knew we could always count on Sara. She is so incredibly kind, and when we finally met her our elopement weekend, she already felt like a long-time friend or like part of our family. Her creativity is truly unmatched; she took my small, vague vision and created the most wonderful, ethereal day, with the most mesmerizing details. Because of the incredible design work, we truly felt like we were in some sort of dream or fairy tale, and because of her spectacular planning, we were able to fully relax and just enjoy our dream day. Sara handcrafted the most wonderful, love-filled day of our lives, and I can't recommend her enough! Every girl dreams of a unique and personalized fairy tale wedding. Sara makes those dreams come true. Thank you so much for everything you did for us! The wedding day was absolutely perfect and everything we hoped for and that’s all that matters! We seriously could not have done it without you! My mom even got lots of compliments at the reception from guests about everything you were doing! I can not say enough positive words about Sara and the service she provides! My only regret is that I didn't hire her sooner. Throughout the entire wedding process she was so quick to respond to all of my questions day or night. I love that not only did she listen to all of my ideas/visions about my wedding day but she also brought her own creative ideas throughout the entire process. I could not have imagined a more stress free wedding and it was all due to Sara! The day of she was like the ninja of wedding planners. She blended with family and friends but she was always there getting things done and making sure everyone was taken care of. So thank you to Sara for being so passionate about your work and making all of us brides feel so special!